When you think you see Slenderman..... ABADACADABRA! XD. 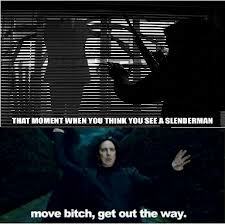 Wallpaper and background images in the The Slender Man club tagged: slender man creepy paranormal meme harry potter snape.